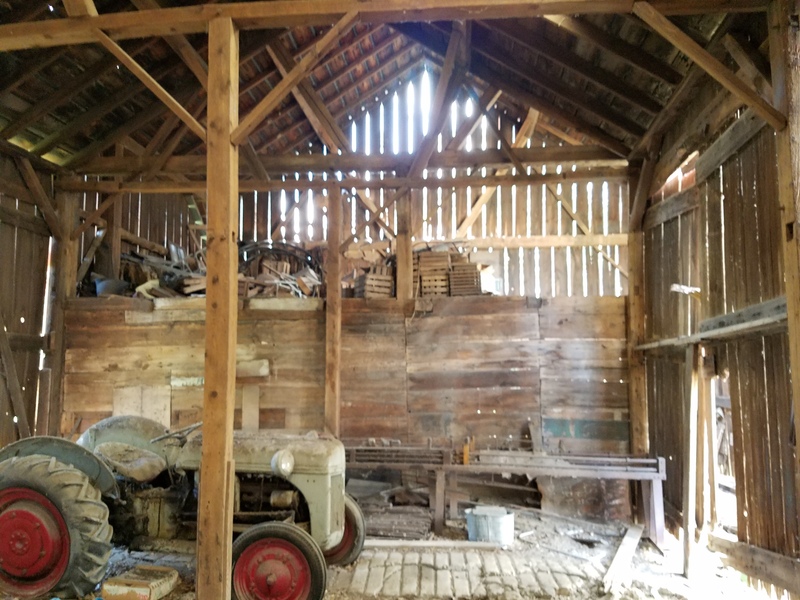 WATERFORD, MI / ACCESSWIRE / April 17, 2019 / Dilapidated barns - you've seen them sagging alongside the freeways, backroads and in farrow fields. Now, thanks to Reclaimed Michigan, you can see them in many breweries and restaurants in Oakland County and even within your own home. Housed in a 7,200 square foot nondescript warehouse in Waterford off M-59, Reclaimed Michigan is one of the few barn wood salvaging companies in the state. Founders Bill McDonald and Matt Halcrow saw Reclaimed Michigan as a way to repurpose agricultural history while providing woodworkers, interior designers, contractors and DIYers vintage materials and architectural items for projects. "Each piece or material that Reclaimed Michigan rescues is unique in its own way," said McDonald. "Which in turn creates special, one-of-a-kind mantels, tables or wall treatments." Reclaimed Michigan works with teardown experts across the region to deconstruct barns that have dotted the landscape for decades and retrieve items including barn siding, interior and roof boards, hand hewn and sawn beams, metal roofing and additional architectural elements like doors, corbels and hardware. "Most of the barns we reclaim were built between 1870 and 1920. When we first go look at them, we are looking for the character of the building and the story it has to tell. Some of the barns have 150 years of history to share and the wood they are built with is even older," said McDonald. "It's amazing to see what can be done with these materials," McDonald said. "Old barn wood has such depth and details which really adds character to new construction projects." The salvaged barn wood comes in a variety of colors from chipped white, weathered grey and the popular faded red barn color; various widths and length and different woods, some which haven't been used in buildings for decades. "We love to have people come into the shop and browse about and see if anything grabs their attention or gives some inspiration," McDonald said. People can see examples of repurposed barn wood use in popular establishments including Bad Brads BBQ spots, El Camino in West Bloomfield and Michigan Beer Company, Novi. Home owners and builders use barn wood for shelving to tables, statement walls, lighting, bar tops and more. Visit www.reclaimedMI.com for photos of beautiful projects. Reclaimed Michigan is hosting an open house on Thursday, April 18 from 5 to 8 p.m. with food, drinks and demonstrations. Reclaimed Michigan is at 1179 Sylvertis Rd. Ste B, Waterford Twp., MI 48328. Warehouse hours are Wednesday 10 a.m. to 7 p.m., Thursday-Saturday 10 a.m. to 4 pm. ; open by appointment Sunday-Tuesday. For more information, call 248-509-9595 or info@reclaminedmi.com.